There are so many phenomenal horror films that possess the power to terrify audiences. One only has to look at Jack Clayton’s 1961 gothic masterpiece, The Innocents, or Tobe Hooper’s The Texas Chainsaw Massacre, to see that film can undoubtedly harness the capacity to scare perhaps more so than any other medium. These two examples are frightening in very different ways, with the prior serving up sinister chills and the latter wrestling you into a frenzy of terror – this is the power of genre cinema. Yet, many audiences will agree that often the most terrifying films are not necessarily considered horror films at all, but can be read as such. Feelings of horror are born from many things; insecurity, discomfort, provocation, all of which are certainly not limited to the horror genre. This list includes a number of films which are likely to scare audiences in a variety of ways and for very different reasons, and some of which, defy categorisation. Nevertheless, they will leave most cinephiles feeling mightily unsettled, and are all successful in leaving a nightmarish impression. 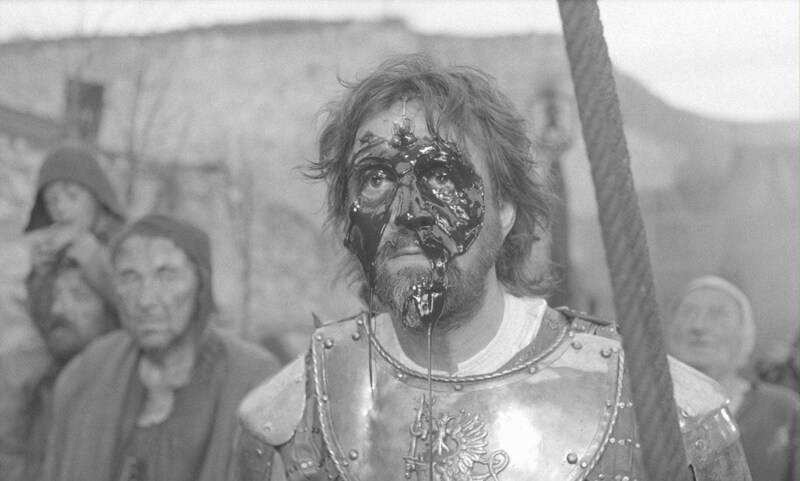 The triumph of Aleksey German’s Hard to be a God is that it took six years to shoot, spent six years in post-production, and every single strenuous effort is evident in the final film. It truly is an extraordinary piece of work. The original 1964 source material written by the Strugatsky brothers – famous for Roadside Picnic, which Andrei Tarkovsky adapted into Stalker – is a significant piece of science-fiction literature, of which German was intent to realise on film for decades. The film itself concerns a body of scientists who journey out to Arkanar: a planet that is yet to overcome its own phase of medieval history. The society they witness has spiralled into chaos, with anyone showing signs of intellectual or independent thought being rounded up by cruel authority. This is a terrifying concept that our own history has seen repeated many times, and under this vision, it comes to light just how primitive this issue of fearful paranoia truly is. Yet, this isn’t necessarily what makes Hard to be a God so unsettling, rather, it is the commitment of everyone involved in making the world of Arkanar so authentic. The film almost feels like an artifact; a document from another time and place so utterly immersive that, as the film progresses, audiences are likely to question less and less its fictitious nature. It is not a film to be felt, but smelt, and tasted, which make this an unshakeable, revolting, and maniacal cinematic experience. Swedish auteur Ingmar Bergman is often pronounced as one of the greatest filmmakers in the history of cinema, and his most celebrated works – such as Persona, The Seventh Seal – are endlessly thought-provoking, remaining debated and discussed even today. Both of these films contain enduring and unnerving imagery of which many film-fans could recall in detail within an instant. However, the film mentioned here doesn’t contain visuals of death personified, or the slit throat of a terrified lamb, in fact, the majority of the film comprises of two-shots of Marianne (Liv Ullmann) and Johan (Erland Josephson) as they progress through the breakdown of their relationship and the events that plague a failed marriage. The disintegration of marriage is a thought that many will find intimidating, and the central performances displayed here are enough to make the film feel personal for the viewer. For shy of three hours – although there is also a TV mini-series – we witness conjugality through the eyes of those who have signed their lives to never forgetting the failure of their love. Bergman’s screenplay is superlative, with every instance of dialogue feeling real under the pair’s honest observations of how the other is behaving and feeling. The film is essentially a series of conversations that heartbreakingly capture the despair of destroying an intimate union and being completely helpless to forget the effects that both of your decisions have had on your ability to love and move on. Many will recognise the accuracy in their conversations, and in turn, doubt the institution of marriage and their own relationships. Those who have been through divorce may view this as a horror-film like no other, and those who are yet to enter the realm of marriage are likely to view this as a cynical lesson that such tragedy may not be preventable, but can be apprehended. On the year of the film’s release, Scandinavia’s divorce rate suffered a dramatic increase. Whether the film played a role in this is arguably irrelevant, but simply an illustrative accompaniment to what Bergman addresses in one of his most affecting achievements. Austrian filmmaker Michael Haneke is one of the greatest living filmmakers, and over the course of the twenty-first century has received significant critical-acclaim for every single project he has embarked on. However, for those more familiar with the director’s body of work, Haneke’s unequivocal skill for demonstrating and analysing human behaviour was prominent early in his career, which was immediately addressed by stunned critics following his directorial feature-debut in 1989: The Seventh Continent. The craftsman became known in the nineties for his refreshing and radical approach to film narrative with such films as 71 Fragments of a Chronology of Chance. His second feature, Benny’s Video, preceded the exploration of violence and voyeurism that he would continue to pursue in Funny Games, a film which he himself remade in attempts to reach an audience he felt needed to see the film. The foundations for what many would grow to learn about Haneke over the course of his early output, however, was hauntingly apparent in his first film, which depicts the mundane existence of a middle-class family up until the point of self-destruction. The film concerns societal erosion, violence, media influence; all hallmarks of his work, although, here they are all investigated with such disturbing restraint. By choosing to construct shots of daily routine and mirror them with acts that bid farewell to this cycle, Haneke comments on the banality of enclosed family life. The shot of money being flushed down the toilet urges the audience to confront selfishness and greed, forcing them to reevaluate and question what is important. The Seventh Continent is a bleak and crucial introduction for those who are yet to fully acquaint themselves with one of cinema’s most prominent artists. It is extremely uncomfortable to watch, and more importantly, impossible to shake. No one can deny the importance of this film in relation to Polish history. 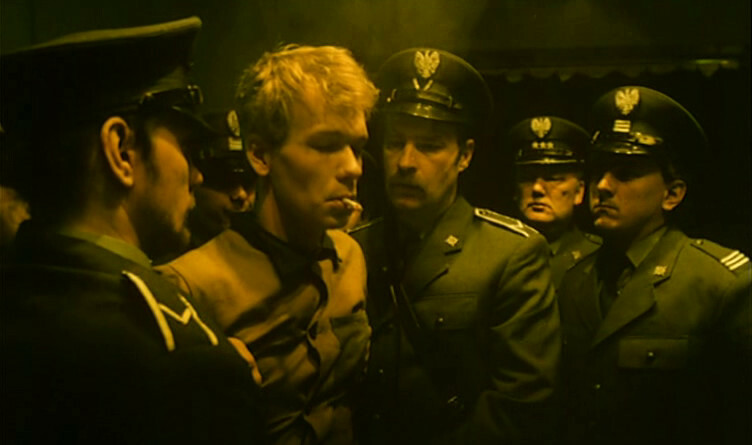 Upon the film’s release, Polish authorities were so agitated by Kieslowski’s analysis of the effects of violence that they decided to declare a five-year moratorium on capital punishment. Those who are privileged enough to have experienced A Short Film about Killing won’t even be surprised to discover that it had the capacity to stir social change, as it’s harrowing story of crime and punishment is a timeless insight into brutal murder, considered essential viewing by almost everyone that encounters it. After senselessly murdering a taxi driver, an apathetic young man is put on trial by the state and sentenced to execution for his crimes. The film’s narrative is incredibly affecting because of the way the events are shot handheld, presenting the audience with so much raw detail in creating a piece of realist filmmaking which scarily resembles and utilises documentarian methods. Kieslowski presents the murder committed by a disturbed young man in juxtaposition with the murder of this individual committed by the state; passionless and withdrawn, parallels can be found, which resulted in the film quickly being addressed as a political statement. There are certainly social and political themes to unpack here, although, the film’s power to scare is undoubtedly in the way it portrays violence in such a detached and authentic fashion. There are scenes found here that will burrow under the skin of even the most seasoned genre-fans, but leave them with so much to think about. The continued consideration and appreciation shown for this film since its restoration in 2014 is deserved. The atrocity of war has long been a fascination for numerous skilled filmmakers and audiences alike, which makes it all the more surprising that Klimov’s Come and See is perhaps the best war movie ever made and yet still remains criminally underseen. 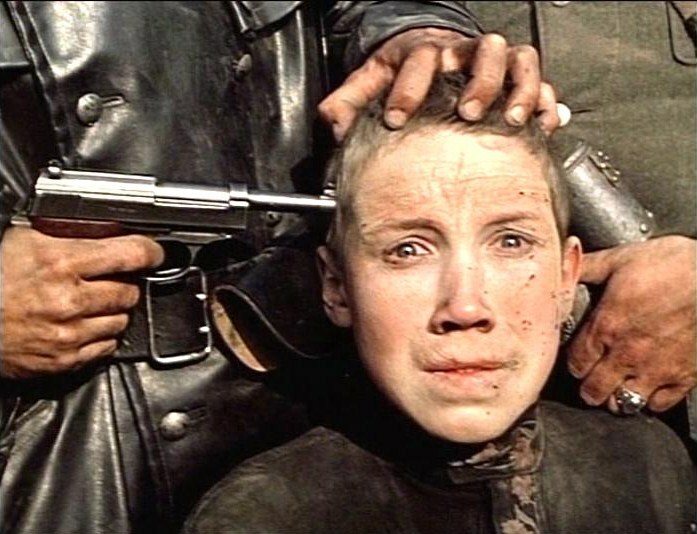 Considered one of the finest achievements in all of Soviet cinema, Klimov’s masterpiece observes the Nazi occupation of Belarussia during World War II from the perspective of a young boy who joins the Soviet resistance after uncovering some buried rifles. The sheer horror of war is presented here as all-encompassing, and by persisting with such disturbing imagery, war begins to take on an increasingly hallucinatory form; as if this world of fear and blood has caused the characters surroundings to distort, menacing the protagonist as he strives to survive in an environment of hellish design. There are a number of sequences which are best described as devastating, and Klemiv ensures that the audience are mesmerised by the toxicity of the events that are not the basis of a mere horror-film, but rather an alarming cinematic portrait of our petrifying world history. The performances are astonishing, and quite honestly, there are very few films which possess the power to shake audiences to their very core – Come and See is one of those films, and it will leave you terrified and exhausted, as if waking from a nightmare which ashamedly took place. French writer-director Bruno Dumont’s third feature is certainly the most controversial, shocking, and arguably, least accomplished film on this list. Although needless to say, it has earned its place amongst this selection, and those who have seen it will certainly know why. Some films can leave you feeling underwhelmed as they approach the last act, and while some fail to make a final impression in the end, some filmmakers manage to turn it around completely and grab your attention as the narrative suddenly concludes in unexpected fashion. Not only does Dumont achieve the latter with Twentynine Palms, but he ultimately succeeds in lulling you into a daze for the majority of the film’s run-time and then scaring you half to death in its final moments. While the ending does not suddenly change the way you feel about the endless drudge of dull, sexually explicit activities of a couple travelling through the California desert, it shatters your sense of security completely. Whether this is mere shock tactics to justify a series of tedious and uninvolving sequences or in fact a gruesome statement denouncing humanity and the unexpectedness or our extreme behaviour is entirely up for discussion. However, regardless of the conclusion viewers may reach when discussing the film, there is no denying that the last act is vile and destroying, and will be sure to leave audiences choked up with fear. Its comments on the effects of human trauma are visually conveyed in such a bloodcurdling manner, resulting in imagery that will likely fade from memory. Swedish director Lukas Moodysson’s third feature-film is often considered his best, and it’s difficult to argue. This tale of hope, abandonment and suffering is heartbreaking to watch, and impossible to deny. The film is actually largely based around the life of Lithuanian girl Danguole Rasalaite, who found herself in Sweden after her mother ran away to America; the character of Volodja is fictionalised, but apart from that, Moodysson’s script closely resembles actual events, making it all the more poignant. Audiences are fully aware that stories like this are very real, but there’s something about Lilja’s tragedy that is able to strike us to our very core, and that’s because Moodysson’s film is such an incredibly crafted piece of work. It tells the story of sixteen year-old Lilja and her young friend Volodja living in Estonia as they yearn for a life elsewhere. After being abandoned by her mother, she is desperate to cling to anyone that can offer her a shred of happiness, and meets a man who promises to give her a new life in Sweden. The relationship between Lilja and Volodja is beautiful – their dependence on one another to hang on to hope is inspiring, yet sadly, the world is blind to their existence, and a disastrous fate looms over their brave and rare smiles. They are both characters that the audience desperately wants to save, which makes this such a terrifying experience as we watch them face dehumanising abuse and separation. Human slavery will always be topical, and films like this – which uncompromisingly tackle the hideousness of man – are so important in confronting real issues and scarring us with their images of women destroyed. Humanitarian organisations have even used the film to demonstrate the horrors of human treatment, and in Moldova, the International Organisation for Migration acquired distribution rights to the film and set up numerous screenings to thousands of members of the public. This helps give an indication of just how powerful a piece this is, and it deserves to be seen and discussed more and more with every passing year. A director’s last film is always important. 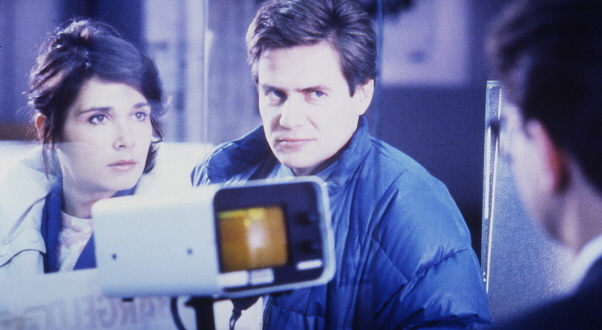 It is their closing impression on the medium, their final achievement – a conclusive statement on their own filmmaking. There are some superb examples, such as Stanley Kubrick’s Eyes Wide Shut, Andrei Tarkovsky’s The Sacrifice, Robert Bresson’s L’argent, and of course, a film many of you are all too familiar with, Pier Paolo Pasolini’s Salo, or the 120 Days of Sodom. 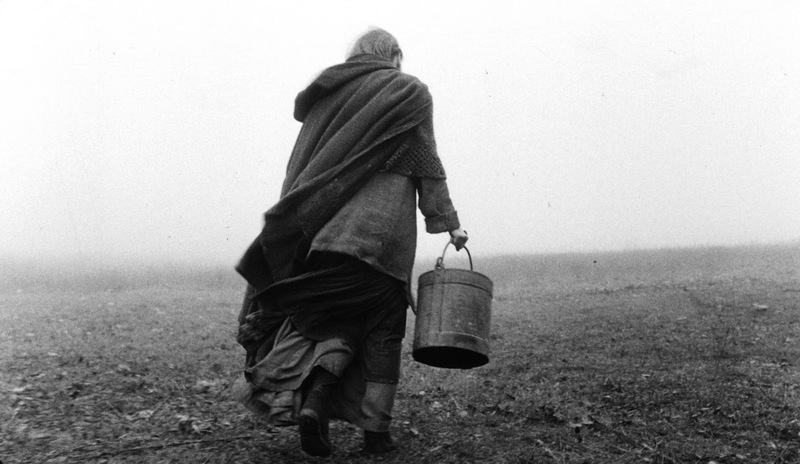 This decade has seen the addition of Bela Tarr’s The Turin Horse, which stunningly captured and summarised a unique and monumental career – for lovers or Tarr’s work, one could not begin to imagine a more fitting farewell. The final shot of Tarr’s Satantango is incredibly haunting, and it is an ending that feels repeated in his final film; an image of the world being shut out, whether the characters board themselves inside their own small worlds, or whether the darkness swallows them whole. Either way, in both instances, the filmmaker offers a definitive goodbye, after introducing us to a spectral vision of a universe we’ll never forget. Here, the audience is presented with the possible aftermath of Nietzsche’s famous encounter with a mistreated horse, which is shown to have a profound effect. The Hungarian auteur presents the daily routine of a man and his daughter as they grapple with existence amidst apocalyptic vastness. Known for favouring long takes, Tarr depicts their mundane survival over the course of silent contemplation and bland meals in a series of thirty shots, which comprise the entire film. The great director has said that his final film is about the “heaviness of human existence”, and there is no better way to describe it. When the final shot is extinguished, the audience is likely to be left cowering in the dark, still alongside the father and his daughter, wondering when the philosophical anguish will end, and as long as the last shot lingers, Bela Tarr’s cinema persists. Arguably this addition qualifies as a horror film in its own right, but it would be ridiculous to try and categorise anything Lynch has made, especially Inland Empire, which Lynch devotees were treated to when the acclaimed filmmaker decided to work with digital video for the first time. Stars Laura Dern and Justin Theroux have publicly stated that they have no idea what the film is about and marketing executives were clueless on how to promote the film, however, I think the best way to capture the essence of the film is to reference the genesis of the project. One day, Dern received a phone-call from Lynch: “Do you want to come and experiment?” The answer must have been a resounding “yes”. An actress receives the lead role in a film-remake of a doomed, unfinished Polish production which befell great tragedy. As shooting begins, she notices that events in her life begin to mirror the script, and the rest is pure and unadulterated Lynchian terror. A film like this was always going to be divisive, and even some of Lynch’s fans were disappointed with his work here. Although, it is adored by many, and is quite possibly the closest we’ll ever come to being inside the mind of one of the most visionary directors in cinema history. It’s a labyrinthine nightmarescape in which he is able to project so many ideas, of which all come together and feel whole in a way only David Lynch is capable of. The imagery offered here is certainly the most terrifying to be found in his entire career, which is hard to believe, but it truly is. Some of the shots are so unexpectedly eerie and unique, and it becomes a film in which the audience is trying to escape, becoming the protagonist and navigating a frustrated and fractured psyche. Almost all of Lynch’s work contains terrifying imagery, with Lost Highway, Mulholland Drive, Twin Peaks: Fire Walk With Me, and of course, Eraserhead, which contains imagery that no one else could possibly have conjured, earning the coinage of Lynchian; a term commonly used by film-fans of which has invaded the glossary of popular culture. It would be hard to imagine Lynch making another film after this, because it truly feels the summit of his work, and what a final film it would be. Finally, the film that needs no introduction: Alain Resnais’ powerful documentary short, proving that there is nothing more frightening than the atrocities of our history. This is affecting in the same way as the aforementioned Come and See in its attitude and representation of the effects of war, however, this is unfortunately the real deal, blending stock footage with ghostly camerawork exploring the setting of a location haunted by its past – truly the first of its kind. This may be the most emotionally devastating thirty minutes of cinema that anyone could possibly seek out. It presents the Nazi death camps and the way that human beings were horrifically dehumanised through employment of authentic footage that will upset and confront any viewer who falls witness to it. 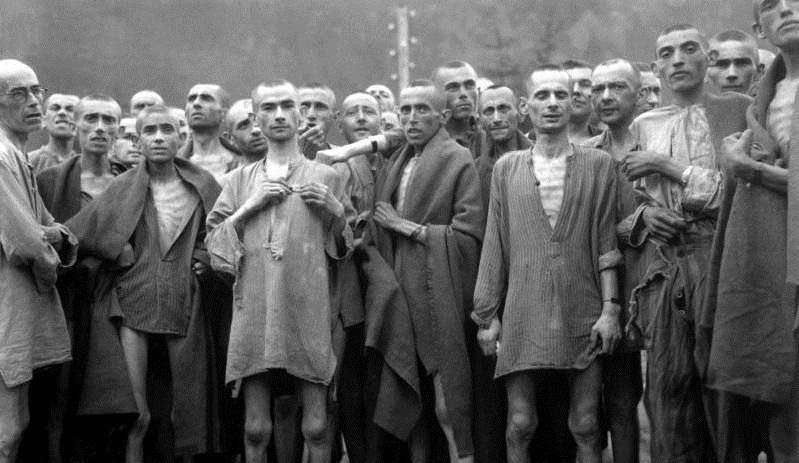 Along with narration discussing the ordeals suffered by the prisoners, Resnais’ work feels like a complete meditation on the bleakest period of human history. This really is a film that must be seen, and one of the most imperative experiences for anyone with a vested interest in not just cinema, but humanity’s past, present and future. Author Bio: Christopher Weston is Film & Journalism graduate with a passion for the Arts. He’s interested in film from around the globe, with a keen interest in the stranger side of cinema; achieving much joy writing about the things he loves and his experiences and interactions with the artistic exercises of others.